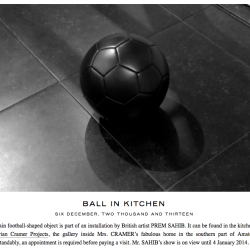 This resin football-shaped object is part of an installation by British artist PREM SAHIB. It can be found in the kitchen area of Marian Cramer Projects, the gallery inside Mrs. CRAMER’s fabulous home in the southern part of Amsterdam. Understandably, an appointment is required before paying a visit. 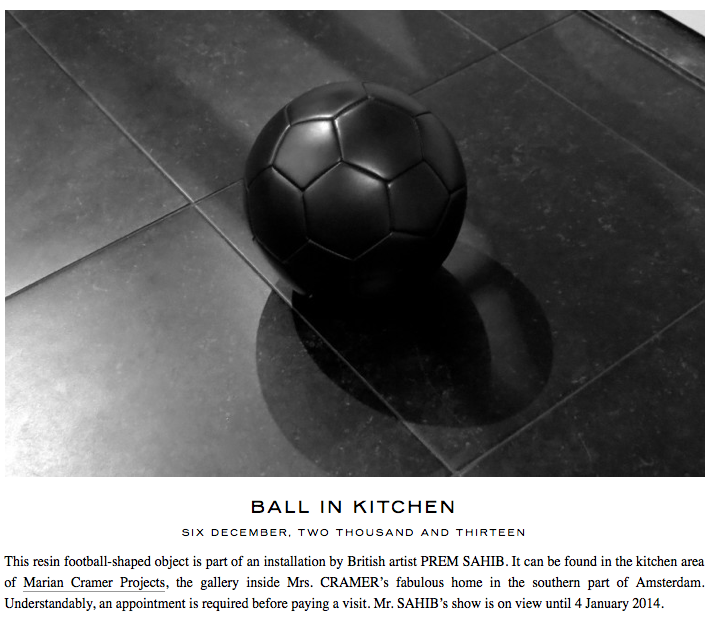 Mr. SAHIB’s show is on view until 4 January 2014.